Unjust, unjust, unjust…why am I always accused?’ Acerbic words that spit from Jane Eyre’s (Nadia Clifford) tongue like needles, bursting the clichés of Charlotte Brontë’s 19th Century novel. Win tickets to Big Foot at Stratford Circus! 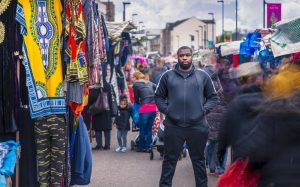 Highrise Theatre with Black Theatre Live present Big Foot, a coming of age tale tackling subjects of illness, youth and masculinity. 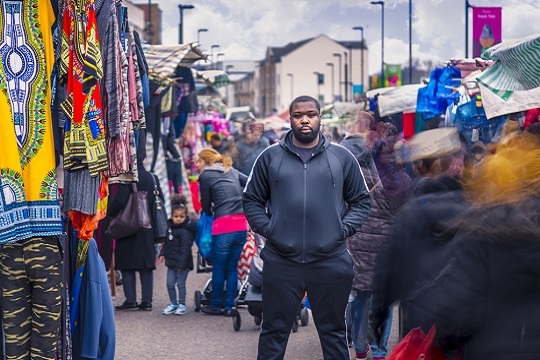 Based in South London, the worlds of Guyanese folklore and Grime collide, a melting pot of influences shaping the show’s protagonist, Rayleigh’s teenage years. 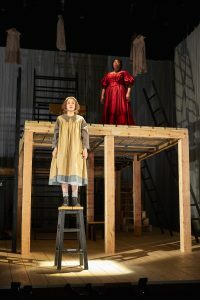 Black Theatre Live and Stratford Circus present Big Foot, a coming of age tale courtesy of Highrise Theatre. There’s no doubt that our teenage years are probably some of our most challenging times, as we find ourselves constantly at odds with the world, battling the constant shift of hormones, not to mention the overriding expectation of passing exams and proving to your parents that you know best! Crafting his very own story of teenage life, Joseph Barnes-Phillips depicts a world weaved with Guyanese storytelling and Grime to highlight and celebrate the importance of culture within our formative years. 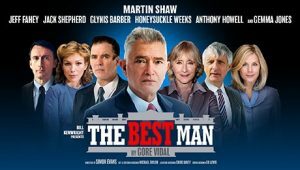 Gore Vidal’s The Best Man is an absorbing play looking at the issues of power and corruption that go hand in hand with anything connected to an American presidential race. It is full of fantastic, rich performances and so many twists and turns that we are kept utterly gripped. The form of identity considers religion, parentage and political position, all constructs cleverly explored in The Kite Runner, currently being performed at the Arts Theatre Cambridge. From Khaled Hosseini’s bestselling novel comes an international stage show full of passion and humility. Top notch entertainment that will have you practically jiving out of your seats, transporting you to the forefront of Rock ‘n’ Roll as we all know it today. Who could have predicted that one small lonely studio in Memphis, Tennessee would be responsible for moulding such talent as Elvis Presley, and that one man, somewhat shadowed by his success stories, could become one of the most respected music producers in the world? Sam Phillips, the once young part-time announcer for a local radio station, was about to create international music history! 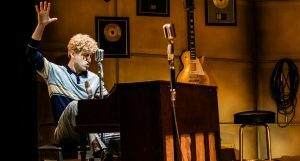 Courtesy of Million Dollar Quartet. A small revolution happened in an East London council estate this week, were you there? Outbox Theatre, known for their cutting edge, contemporary work have taken their latest piece And The Rest of Me Floats to the Rose Lipman Community Centre on Du Beauvoir Road. Christopher Shinn’s new play grapples with big ideas. It revolves around one main protagonist, played excellently by Ben Whishaw. A Silicon Valley billionaire, Luke wakes up one day convinced that he’s been spoken to by God, and that God is telling him ‘to go where there’s violence’. What ensues is Luke’s journey to and through locations of violence, a journey that takes him from schools to American university campuses to prisons and so on. Win a pair of tickets to Halloween Raveyard at The Vaults! Autumn has arrived, and with it brings cold air, shorter days and of course, Halloween! Courtesy of The Vaults, they are giving away a pair of tickets to their annual Halloween Raveyard event. Taking place on both the 27th and 28th October, the event takes over the subterranean venue with a line up consisting of DJs, bands, cabaret and more! Finding peace in the Middle East is a catchphrase drummed out by media outlets all across the western world, offering little to no explanation to what peace actually might look like in reality. J.T. 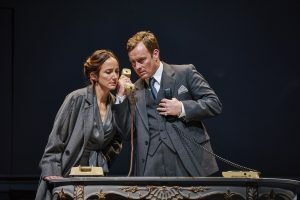 Rogers’ latest offering Oslo at the National Theatre is a ballsy, comic insight in to the history making Oslo Accords, agreements set between the Government of Israel and the Palestine Liberation Organisation (PLO).